Born in the backroads of a post WWII America, drag racing’s roots are a bit extraordinary. What started out as tests of raw, home grown speed, power and audacity eventually became organized under the National Hot Rod Association and turned into one of our greatest motorsports. 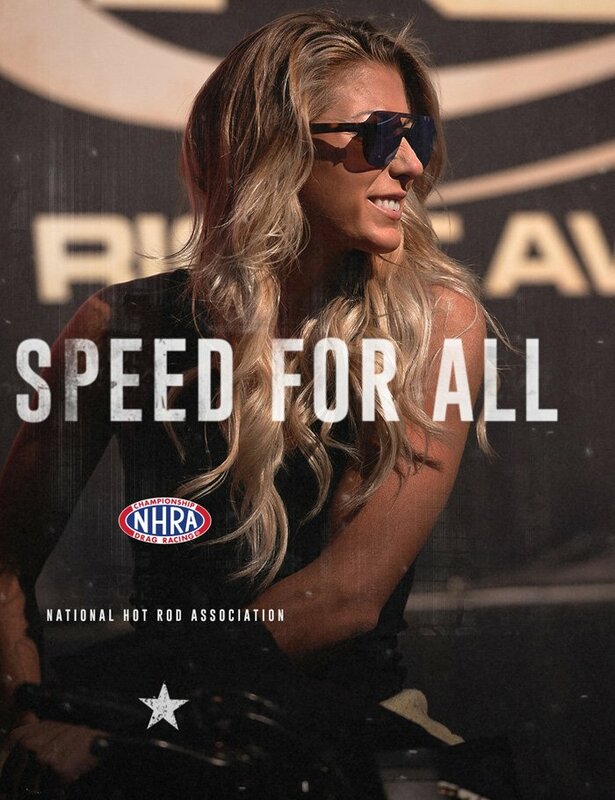 Since its heyday, the NHRA’s fan base has shrunk and underperformed, even while the drivers and cars continue to excel to become literally the fastest sport on Earth. The NHRA needed a makeover – one that invited everyone to the table. Not just the core. 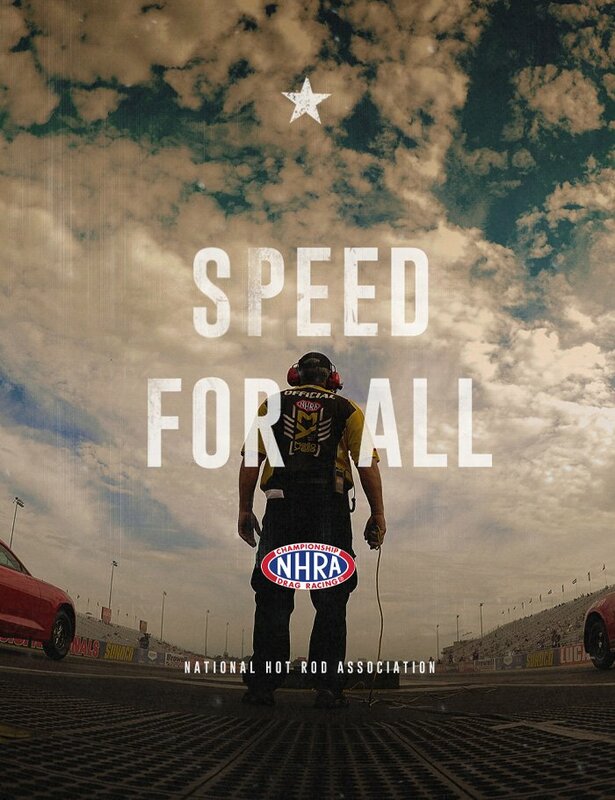 In order to grow beyond its base, we realized that the NHRA brand overhaul needed to bring people inside and behind the scenes. Speed isn’t something we own. It belongs to a community, and anyone who wants become part of it. There is speed for everyone—families. Thrill junkies. Gear heads. Young. Old. Men. Women. Righties. Lefties. It doesn’t matter – all you need is a love of speed. Especially the crazy kind—the hell-raising, earth-shaking, nitro-fueled, don’t blink kind of speed. This was our inspiration, turning the strategy into a battle cry. 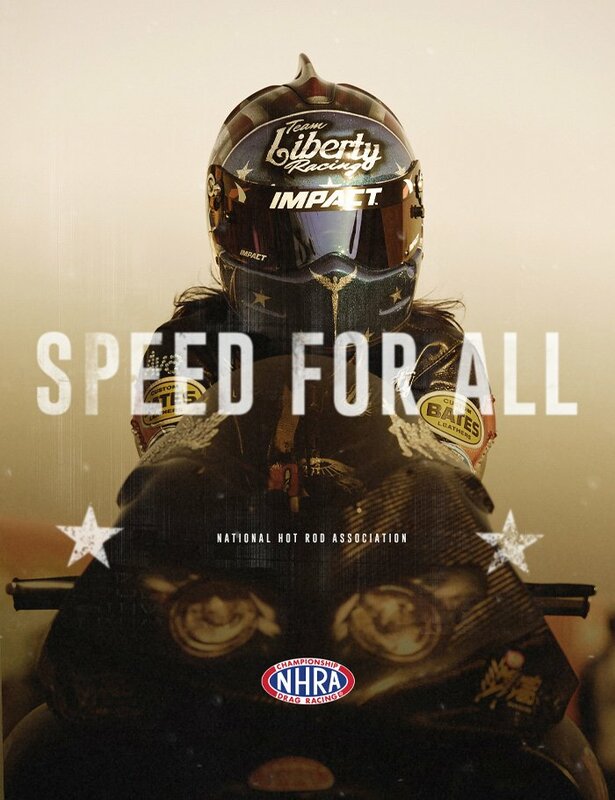 Speed for All is not just a platform declaration or a tagline, it’s an invitation to all those who appreciate the power, audacity and speed of NHRA. Digging into the NHRA archives and resources, we found a gold mine of images and footage. Not just the images of speed and power, but of the community and personalities behind it all. 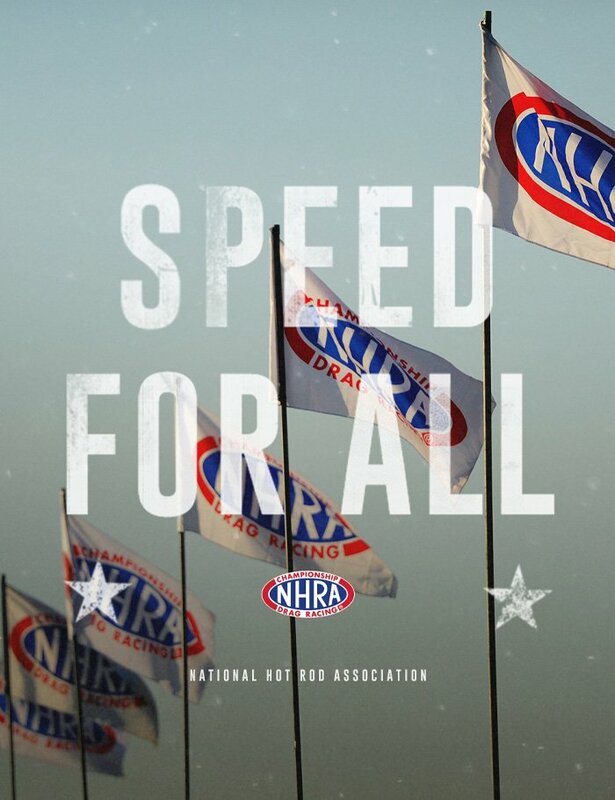 We paired this with a fresh mantra, and a bold new look and feel that ties all NHRA’s branded and co-branded communications together. Something simple, modular and easily adaptable to any media environment—so that an entire constellation of designers, media partners, track owners and promoters can all use it to support a multitude of events each year. A new single minded, gritty, powerful brand ethos. A brand identity system and design kit that included hand-crafted graphics, textures, treatment templates and design lock-ups along, with a comprehensive Style Guide loaded with examples and step-by-step instructions. Powerful and emotional examples, including a new brand introduction video. All cohesively presenting a brand passion and voice designed to engage like-minded enthusiasts outside of NHRA’s own core.